I think I may be on the cusp of a mid-life crisis… I have an over riding desire to get fit – something which has never really troubled me before! About six months ago I bought myself a step counter and found myself going the long way round where I would previously take a short cut, in order to boost my daily step count. Recently, however my step obsession has shifted up a gear. My husband bought me a present, a fancier gizmo which measures my heart rate, stairs I’ve climbed and distance I’ve walked/stumbled/run as well as how many steps I’ve taken during the day. Last week was a dismal one for the Postcard household, a very nasty bug took us all down one-by-one. I spent most of the last seven days either feeling unwell or caring for others who were feeling under the weather. As a consequence my step totals for the week have been equally dismal despite the many trips out to the back patio to hang out countless loads of washing and vigorous floor mopping as I fought valiantly to rid the place of germs. This evening despite the fact we are now all back in rude health and I have left the house several times today, for some reason I only had 6,000 steps out of my target of 10,000 by 9pm. I took myself out for a bit of a walk this evening once the younger members of the family were safely tucked up in bed. Off I headed on a quest to get my daily step count up and have a mosey around the neighbourhood. 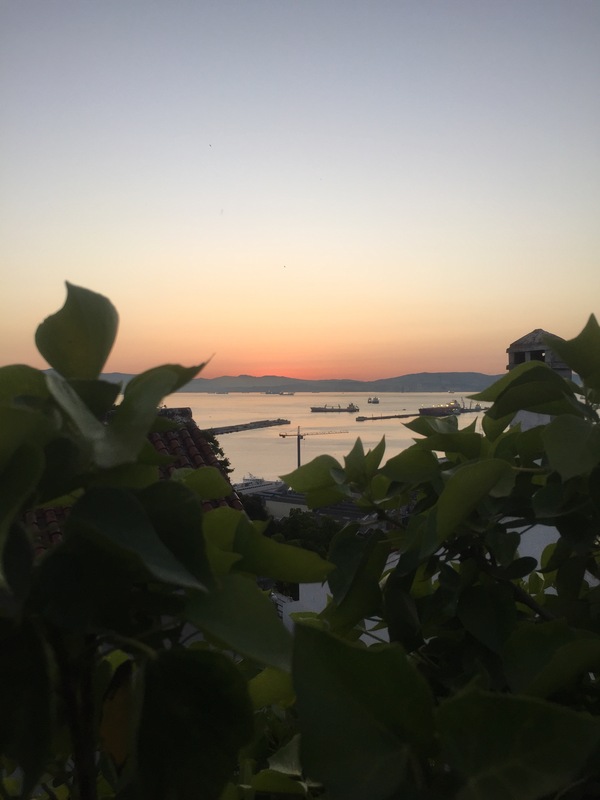 It was lovely and peaceful and cool-ish (we’re in the grips of a bit of a heatwave in Gibraltar – or perhaps it’s just the summer!). I did hope to get a few nice photos but the light was fading fast. 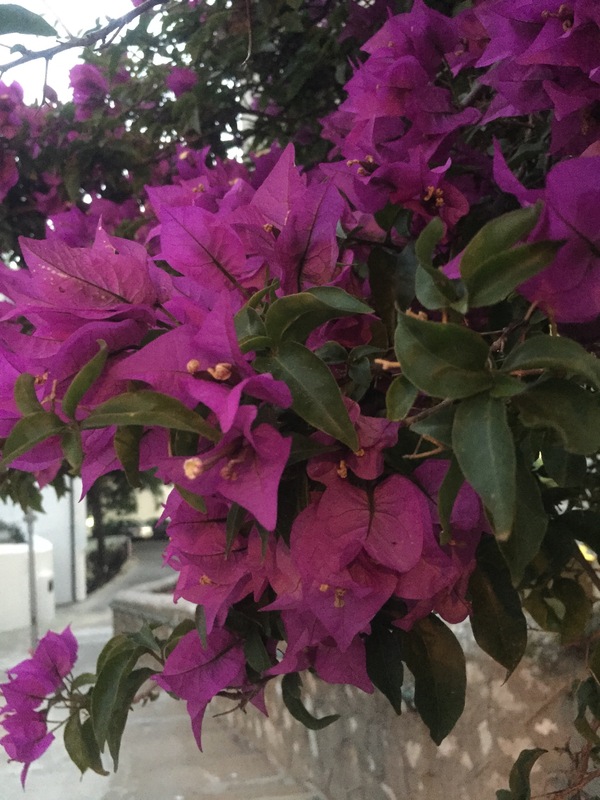 This bougainvillea was positively glowing in the soft evening light. Unfortunately my phone camera didn’t quite get that effect, but it’s still lovely. 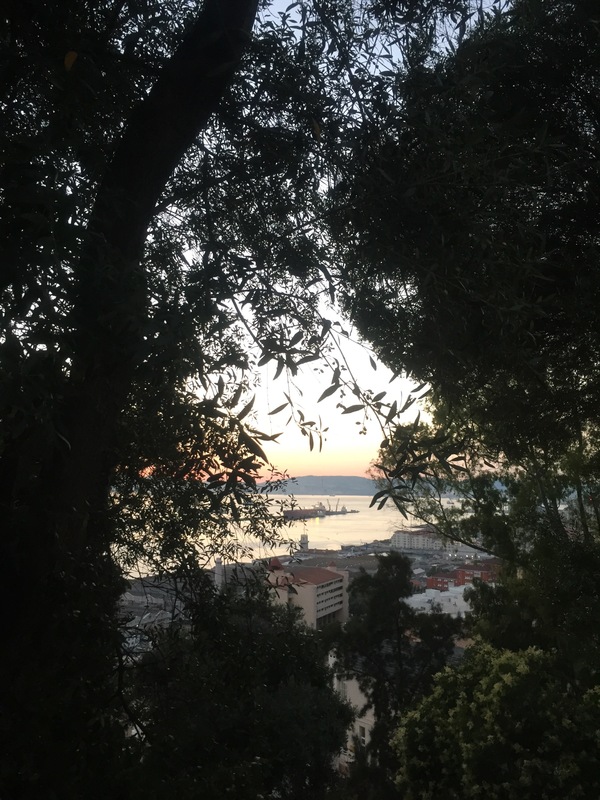 Despite living in Gibraltar for several years and the fact it’s so small, there are still new places I’m discovering. Today I went up flights of steps and alley ways I’ve never noticed before and saw beautiful old buildings which I’d previously passed many times without taking the time to look up and study them. 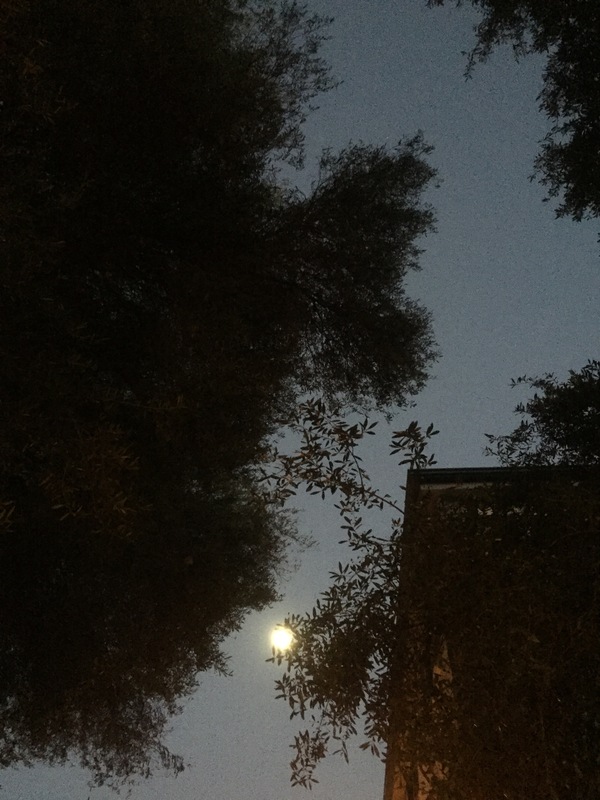 Any photos I took aren’t worth posting as the light was so bad, but I have promised myself I’ll retrace my steps in daylight and try to capture some of the lovely features I saw tonight. In just half an hour, the light had gone and it was time to head home. That’s it for today, time to retire safe in the knowledge I’ve hit my 10,000 step target! Night night.